Returning players should register now at http://rugbyillinois.org/e/spring-2018-season. 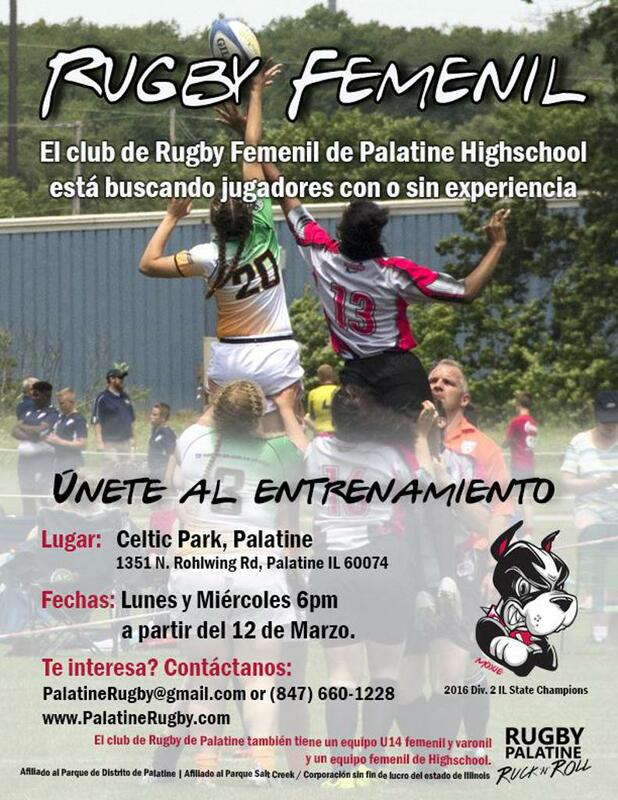 New players, please email PalatineRugby@gmail.com. We welcome new players at all times. No experience is necessary. We will teach you to play Rugby safely and well. Try Rugby, see if you like it before committing to play. 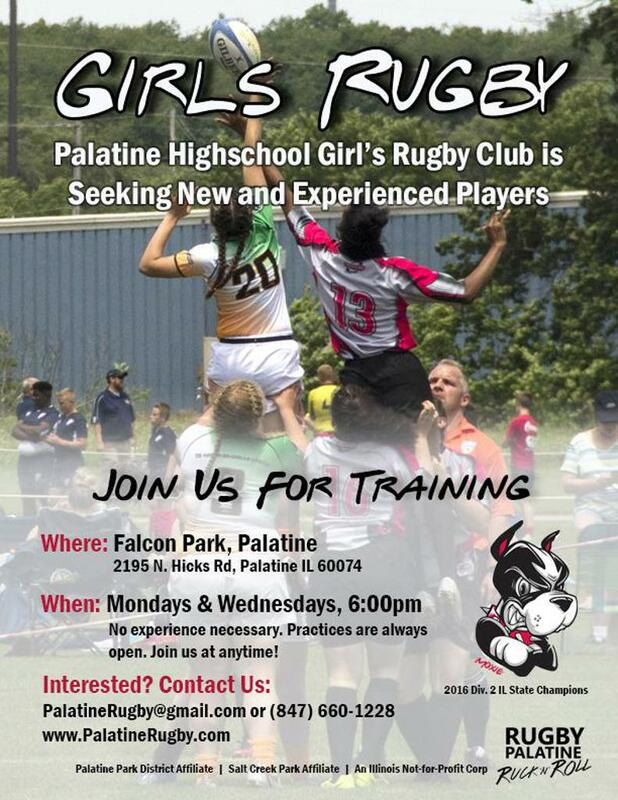 The Palatine Rugby Club's High School Girls team will compete this spring. Please see our team page (Mutts HS Girls) for more information about the upcoming season. Please register to participate with Rugby Illinois. Look in the upper right-hand corner for the "Register as a Player (Spring/Summer 2018)" and click on the Tackle Rugby (U19) button. Please also send an email to PalatineRugby@gmail.com and a coach will contact you to answer any questions you may have about the club, league or sport. We welcome new players at all times. No experience is necessary. We will teach you to play Rugby safely and well. If you have any questions or concerns, please contact us via email (PalatineRugby@gmail.com), or by phone (call 847-660-1228 and leave a message) or text/call Coach Burton directly: 847-338-1587. This article is a short, great read for parents with kids of all ages: My Son Didn't Start Today. Parents of younger players, please take a moment to read this article: "Yes, I'm not only LETTING them play, but I'm encouraging it": Rugby is the right contact sport for life. Well written short article about rugby that features many of our Palatine Mutts players.